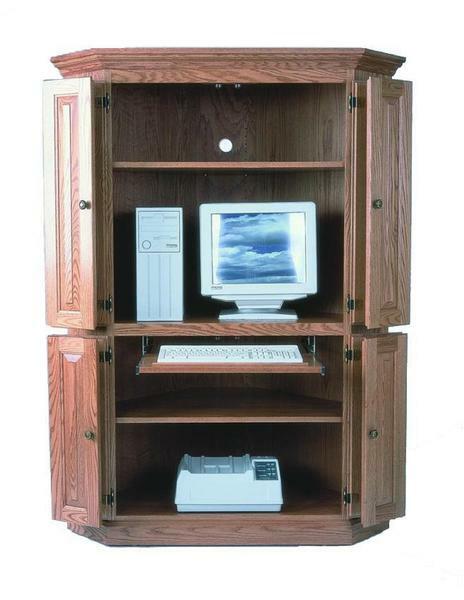 Transform your unused corner space into a productive work station with this skillfully crafted Corner Computer Armoire. Select your wood and finish type for a look that will match your existing office decor and your personal style preferences. Give us a call today at 866-272-6773 for additional information or ordering assistance on this amazing piece of Amish office furniture.